All in all, I love this row. I love this row! So sweet! Can't wait for next month's installment. Thanks Deana! 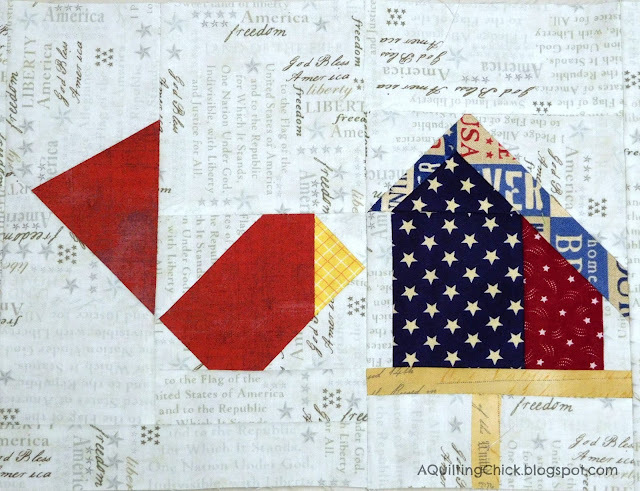 I'm linking up today with Quilt Story for Fabric Tuesday, with I Have to Say for Show and Tell Tuesday, with Freemotion by the River for Linky Tuesday, and Sew Cute Tuesday with Blossom Heart Quilts. So cute! This is going to be such a gorgeous quilt. Love your fabrics. Adorable birdhouses! I had to go follow Deana after reading this post. 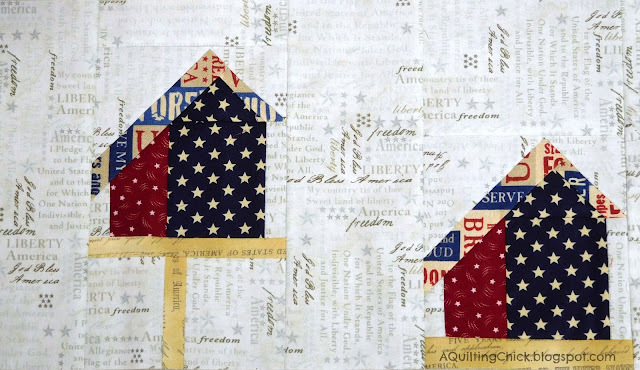 I have sworn off new Quilt Alongs for awhile, but I am sure I will be tempted by one of her future ones! 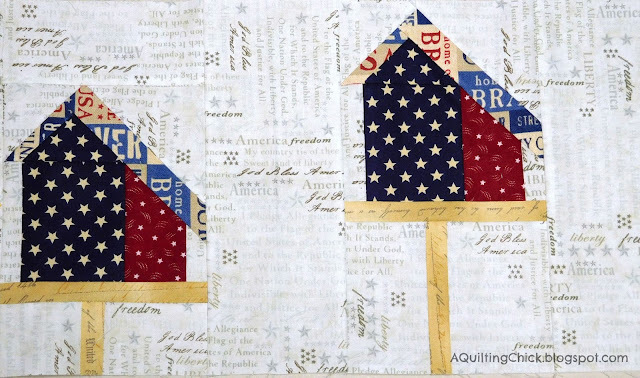 Love the birdhouses and the flag colors. It looks good on that printing background. Fabrics are just super perfect. Cute and stately at the same time. so cute and thought i recognized that cute little bird! Love to see that Lorna's bird found such a lovely place to stay. What a lovely row!!! More Dogs Join the Dog Gone Cute Kennel! Dog Gone Cute - Three More Join the Pound! Dog Gone Cute - First Four Dogs Complete! Leader/Ender Linky Party for August is Live! Delectable Flowers is in My Etsy Store! Delectable Flowers - It's Finally Here!